Final Draft sings “It’s a Man’s Man’s Man’s World” on America’s Got Talent 2017″ on America’s Got Talent Season 12 on Tuesday, June 27, 2017. Final Draft puts their spin on the James Brown classic. “I think you do have something really special,” said Mel b. “I love everything about it. you have great voices,” said Heidi. “As a group you are really really talented. Your life will never be the same after tonight,” said Howie. “I think It was a great great audition. I saw this real passion and ambition,” said Simon. Final Draft gets four yeses from the judges and they are moving to the next round of the competition. 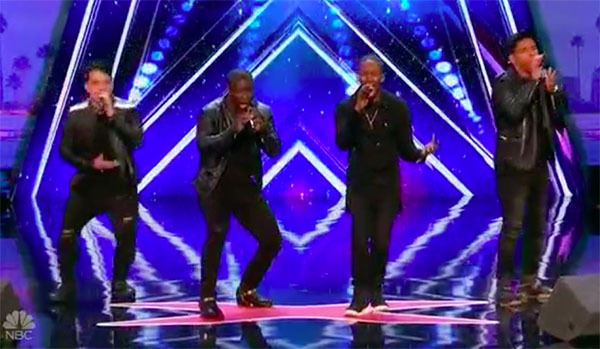 What can you say about Final Draft’s act on AGT Season 12? Share your thoughts and views on the discussion box below.